Trent McKnight is a lifelong rancher and businessman in Throckmorton,Texas, with bachelors and masters degrees in Agricultural Economics and Comparative Politics from Oklahoma State University and The London School of Economics. He is a past national president of the Future Farmers of America, founder of the Texas Student Leadership Forum on Faith and Values, and an appointee of Governor Rick Perry to the Brazos River Authority. In 2012, he was narrowly defeated in a runoff election for the Texas Legislature. He has served as an agriculture advisor to the U.S. Military in Iraq, agricultural economist to the United Nations in West Africa and chairman of the USDA Beginning Farmers and Ranchers Committee. Agriculture, rural Texas and international development are his passions. 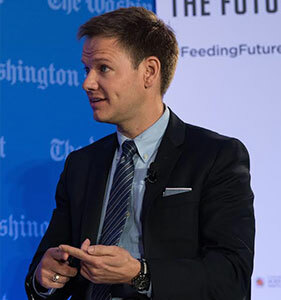 In 2013, he founded AgriCorps, a Peace Corps type organization that connects American agriculture volunteers to the demand for school-based agricultural education in developing countries.